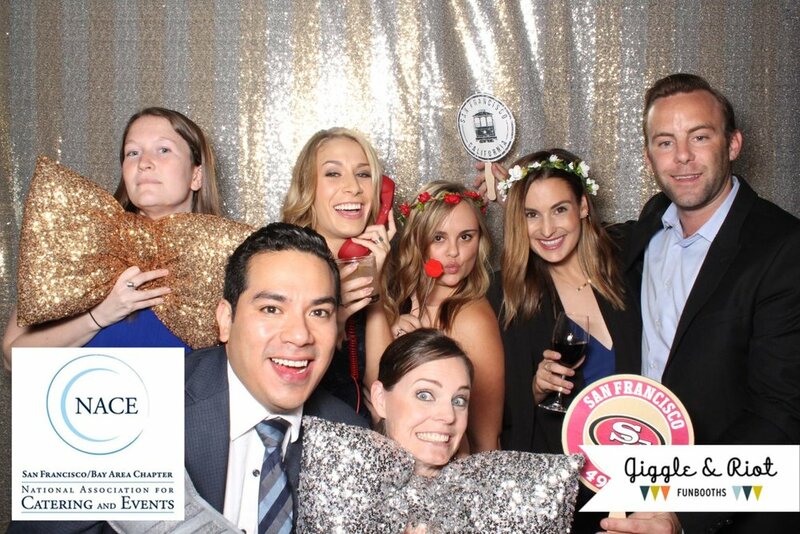 Who doesn't love an awesome photo booth? We do! We're so excited to announce that Giggle & Riot will be joining us again this year for our 2017 gala! “We believe the world needs a little more woohoo and a little less snoresville. Amazing fun for drunk people (and their designated drivers), Birthday parties, corporate events, weddings, engagements and just about anything else you can think of, we arrive early to roll out the red carpet as you shimmy, shake and mug for the camera in our innovative, open air photo booth. Giggle and Riot Funbooths was created by the top notch wedding photographers at Milou and Olin Photography so that guests can have a non-lame photo booth experience at events. Yup, our first event was a wedding! The whole idea is to reinvent the boring old photo booth concept using high powered studio lights, modern DSLR cameras, our sick sense of humor, top notch customer service, gobs of style, a little giggling and a lot of rioting. The result: a hilarious funbooth that’s as unique, supertastic and fun-filled as you are! Still need your tickets? You can purchase them here! All proceeds are going to be donated to the SEARCH Foundation and earmarked for our friendors in need after the devastating wine country fires.